David Henry Hwang and Jeanine Tesori’s “Soft Power” looks at our recent political history through a Chinese lens. Hwang was originally commissioned to write a play for the Mark Taper Forum’s 50th anniversary season. But along the way he realized it should be a musical, and so he recruited Tesori. 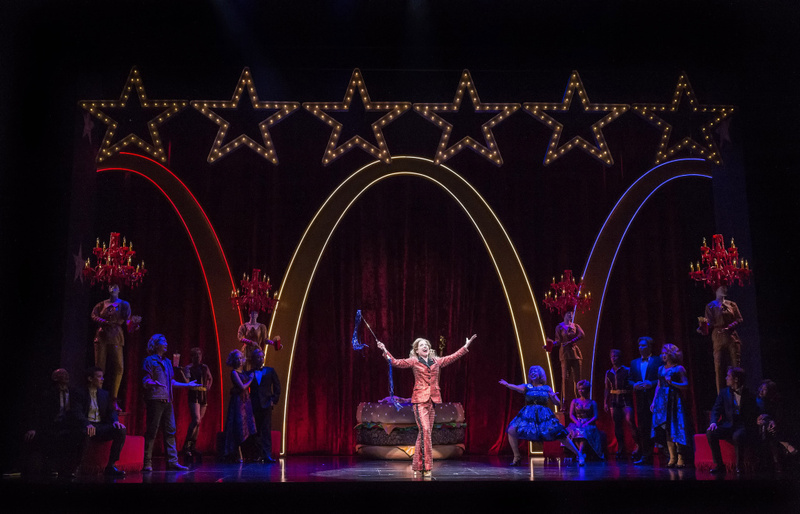 And art mirrors real life in the show itself, which starts out as a comedic two-character play, and then morphs into a full-blown musical that imagines China as the leading world power after the 2016 U.S. presidential election. 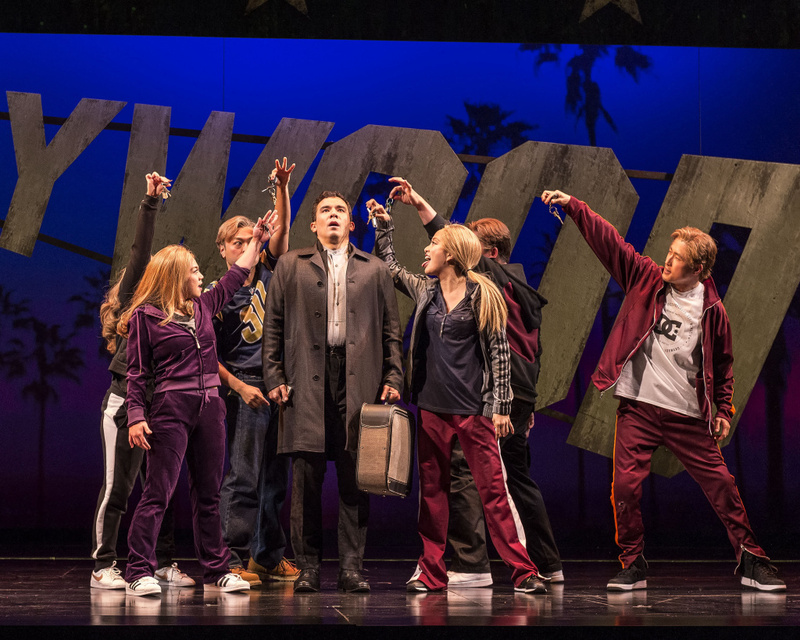 The show is having its world premiere at the Ahmanson Theatre. 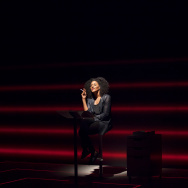 "Soft Power" centers around a successful writer who goes by DHH — a stand-in for the actual playwright. Hwang and Tesori visited The Frame studio to talk about how the show came to be. HWANG: If you look at "The King and I," which was sort of a model for this, you never really hear the king's name. Similarly, in our show, the president is referred to and the vice president is referred to and we don't hear their names. But Hillary Clinton is a character and we certainly didn't put any restrictions on ourselves. I think that we, like any character, wanted to create a sympathetic, complicated person who is in a fictional narrative. Because in the Chinese musical within the show, she is having a glancing romance with this Chinese executive. So we're putting a real life character in a fictional situation and trying to do it with as much sensitivity as we can. TESORI: I think the idea of the trauma and the crisis and the way that this character is working out identity in the way that Hillary is — yes, she twerks, because we make women do 10 times as much for a tenth of the goods in the end. Would we ever really let a woman be president? I think that's the real question. In "Soft Power," a Chinese executive visiting America finds himself falling in love with presidential candidate Hillary Clinton, played by Alyse Alan Louis. HWANG: Certainly, if you think something's funny and the audience isn't laughing, then that's a very clear indication [that] there's an issue there. You have a sense when you're sitting among them, how they're feeling about the show and if they're confused, if they're getting it, if they're interested. The audience as a whole is almost never wrong. TESORI: No matter what, you can't argue with agreement. And after a pattern of three previews, if there's a laugh and then there's a laugh and then there's a laugh — that's funny. And if they're shifting in the seats, or if you hear people [saying], What was that? — then you understand. 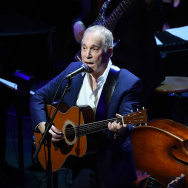 The brave thing is to sit inside an audience and to hear all of those things that you're not perhaps supposed to hear, but that you have to hear because our job is in a way to watch the audience watch the show. Conrad Ricamora and Kendyl Ito in the world premiere of David Henry Hwang and Jeanine Tesori’s “Soft Power." TESORI: I think in America right now there are a lot of us — on both sides of the aisle — that are struggling to find out who we are as a United States. That term is slippery. And David's intense response to a beautiful, well-intentioned piece of work was incredibly interesting to me, because it made me wonder about other delivery systems, and to look past the way that it hits your ear, the way that it hits your heart, and to look at the source itself. HWANG: I feel like I've had sort of two different strains of my personal work. 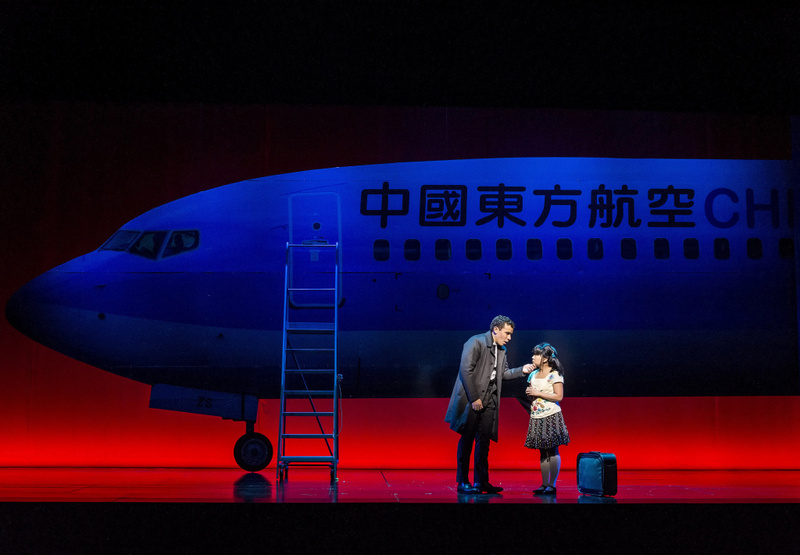 There's been the kind of international relations strain, which I think also includes "M. Butterfly," and then there's sort of the Chinese-American identity strain, which includes plays like "FOB." And I feel like "Soft Power" really brings those two plays together. “Soft Power” runs through June 10. Tickets and information can be found here.